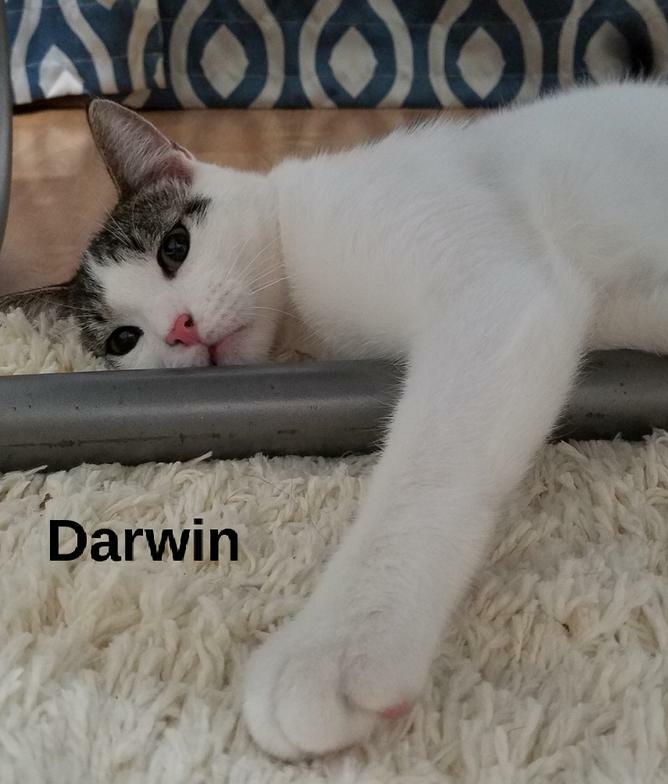 Darwin, son of stray mama cat, Persephone, was born in June, 2018, in the garage of Tabitha, one of our volunteers. To protect mom and her kittens, they were moved inside the house, where they are still in foster care. Darwin is a very active, curious cat. He's interested in everything going on, and wants to investigate, and is probably resting in this picture, after wearing himself out. He's used to kids and being around other cats. Like his two brothers, he's mellow and very affectionate and friendly. He's a secure young cat and would make a great pet for any lucky family. Why not think about adopting him along with his insecure, bashful, but loving little sister, Nova? They are both good looking, healthy, happy cats who would love to find a forever home with you.